Are You Or Someone You Love Suffering From Snoring Or Sleep Apnea? California Dental Care & Orthodontics Can Help You Get A Better Night Of Sleep! Did you know that an estimated 22 million Americans live with sleep apnea, yet 80% of cases of moderate to severe obstructive sleep apnea are undiagnosed? Our multispecialty dental practice sees patients for sleep apnea treatment in Rancho Cucamonga, as well as throughout the Inland Empire area. 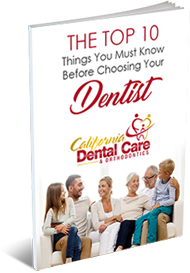 What Makes California Dental Care & Orthodontics Different? Since 1994, California Dental Care & Orthodontics has helped over 500,000 patients in the Inland Empire transform their smiles and increase their self-confidence. Our team is committed to professional improvement and constantly seek new technology and continuing education in the dentistry and orthodontic fields. We strive to offer our patients advanced care and the most cutting-edge treatment options available. Our professional affiliations with the American Dental Association, American Association of Orthodontists, California Dental Association, American Academy of General Dentistry, and the American Lingual Orthodontists Association further solidify our dedication to excellence in the dental and orthodontic industries. What’s better than the gift of convenience? When you choose California Dental Care & Orthodontics, convenience is one of the many things you can look forward to. As an All-In-One practice, we offer a variety of both dental and orthodontic treatments to our patients. With our doctors, you can handle all your oral health care needs under one roof – no more bouncing around to multiple locations for appointments. We offer general cleanings, teeth whitening, crowns, root canals, Invisalign, traditional braces, and more! Plus, our experienced doctors provide the highest quality of oral care available today. Come see why over 500,000 people have trusted their happy smiles to our 5-star-rated practice – we can’t wait to meet you! If you want first-rate dental or orthodontic care from an award-winning team, don’t just take our word for it! 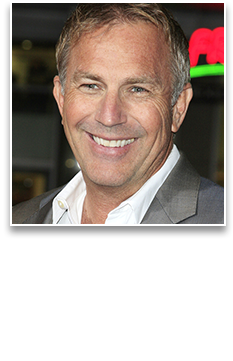 California Dental Care & Orthodontics is pleased to announce some of our recent honors. Not only is our office a designated Invisalign Gold Plus Provider, but once again we have been named as a Reader’s Choice Winner for both Inland Empire’s FAVORITE Dental Office and FAVORITE Orthodontist. When you choose California Dental Care & Orthodontics for your dental needs, you can look forward to receiving unmatched expert care. Our dental specialists rely on the latest advancements in the fields of dentistry and orthodontics, including cutting-edge technology. For example, we are able to detect cavities that are often missed by traditional x-ray imaging. Our Midwest Caries I.D.™/DIAGNOdent™ detection system uses an LED light to capture electrical signals that are then put through a computer-based algorithm to determine if you have a cavity. At California Dental Care & Orthodontics, we take pride in our work and our ability to provide exceptional results for you and your family. That’s why we stand by all our treatments with a 100% Satisfaction Guarantee. This is our way of showing how seriously we take our commitment to you. Our team always goes the extra mile to ensure that your happy, healthy smile lasts a lifetime. If you’re not completely satisfied with the treatment you receive, we will do whatever it takes to make you happy. Our caring team at California Dental Care & Orthodontics never wants financial reasons to keep you from your best smile. That’s why we strive to offer high-quality care at a fair cost, and we will work with you individually to determine available financial options. For your convenience, we accept Care Credit and offer special in-house payment plans to help you cover treatment costs. When you choose our practice for your dental and orthodontic needs, you can feel confident that your oral health is our main priority. Will You Be Our Next Star?